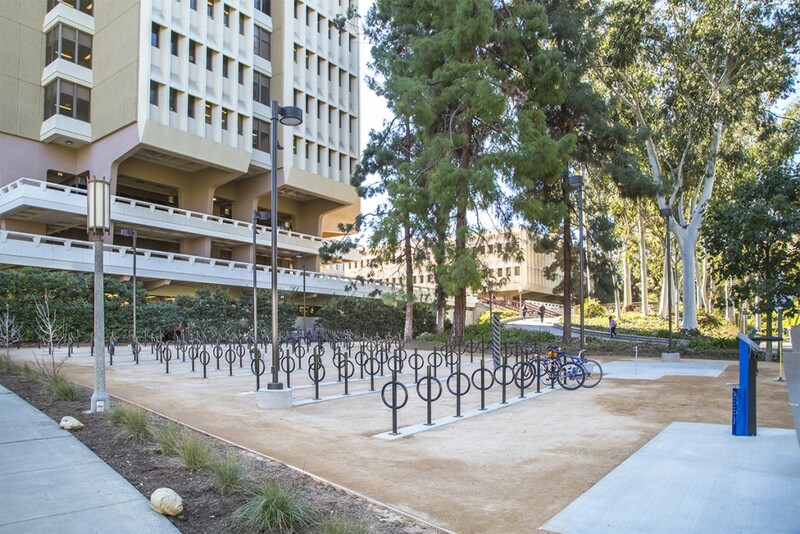 UCI installed over 300 bike parking spaces, skate docks, and repair stands near the Engineering Tower to create the Bike Parking Center. 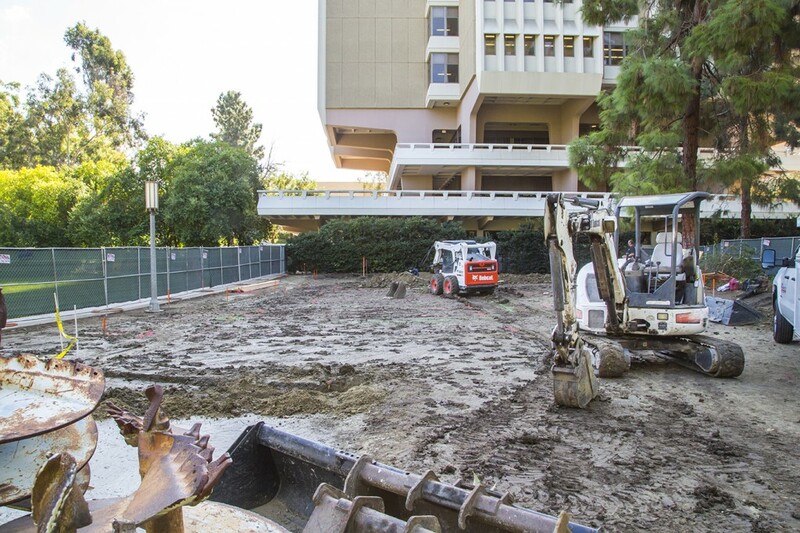 Groundbreaking began on October 14, 2015 to transform the area near Engineering Tower into the Engineering Bike Parking Center. 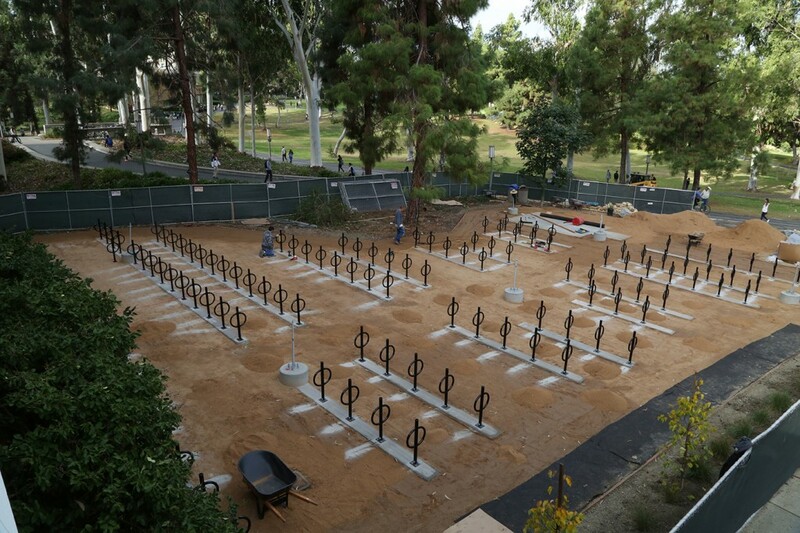 The area will be home to over 300 bike parking spaces, storage for up to 10 skateboards, two bike repair stands with air pumps, as well as a future ZotWheels bike share expansion site. 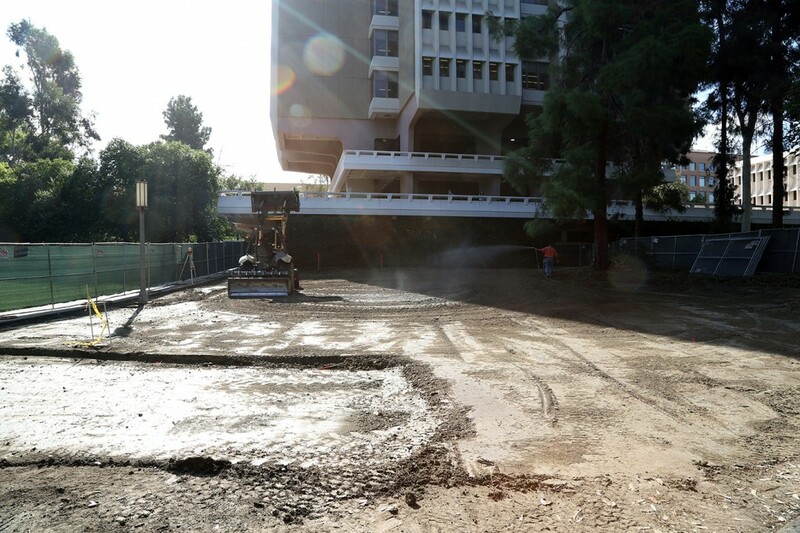 The area was developed with sustainability in mind. 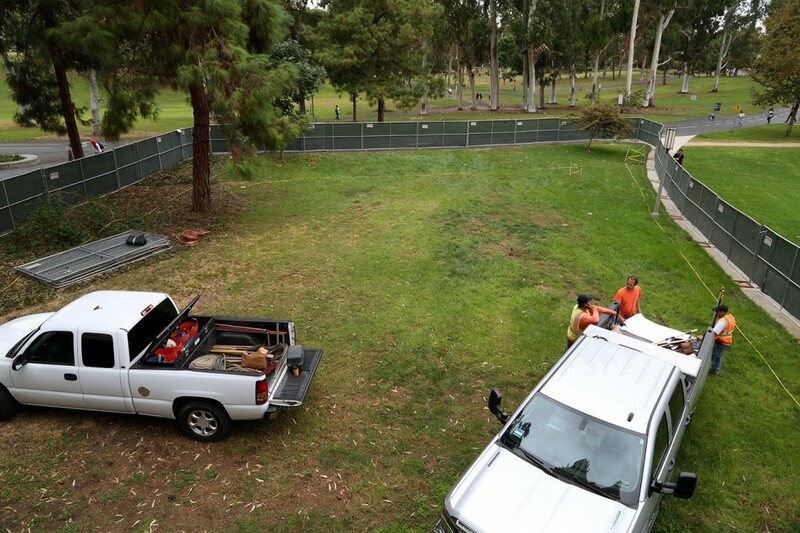 Contractors removed dying sod and soil to further reduce UCI’s water consumption and installed decomposed granite instead of concrete to prevent the “Heat Island Effect”. 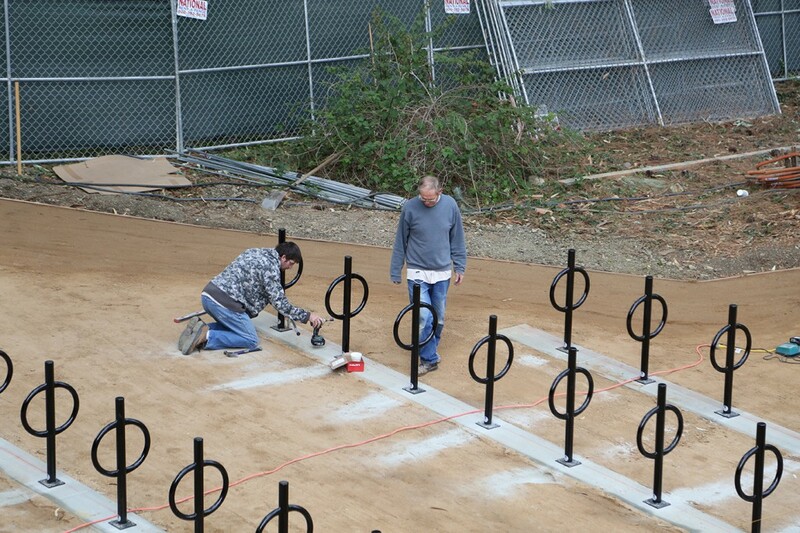 Before this Bike Parking Center opens, LED bi-level lighting will be installed. 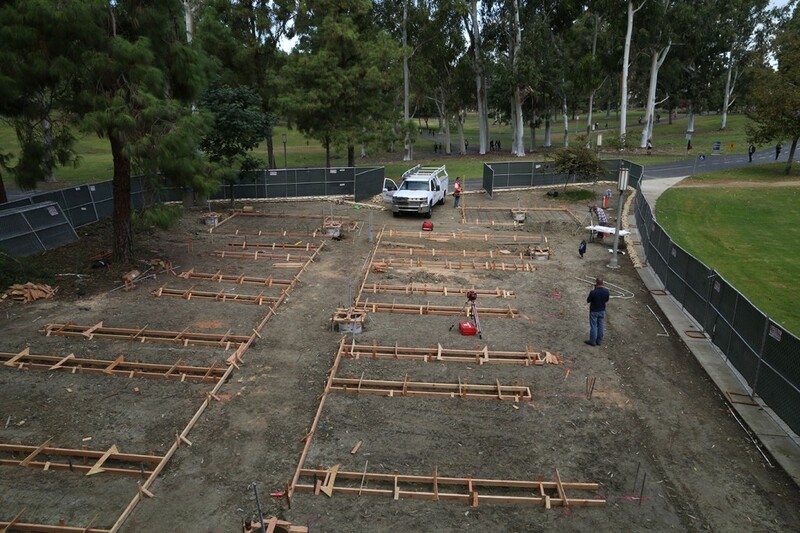 The lighting decreases brightness significantly when there is no movement thereby minimizing energy consumption when its not needed but providing safe lighting when people are near. 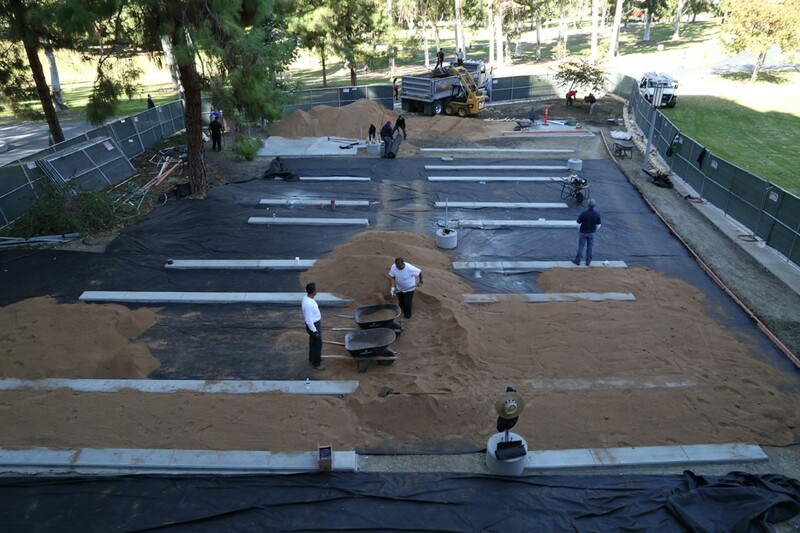 Thousands of students, faculty and staff will benefit from this installation for years to come.